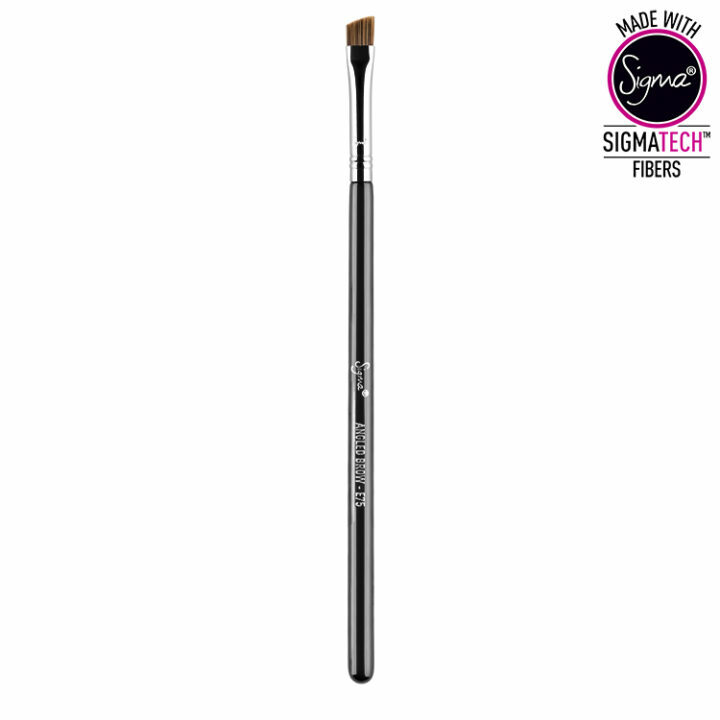 The E75 Angled Brow features a short, slightly stiff angled brush head. 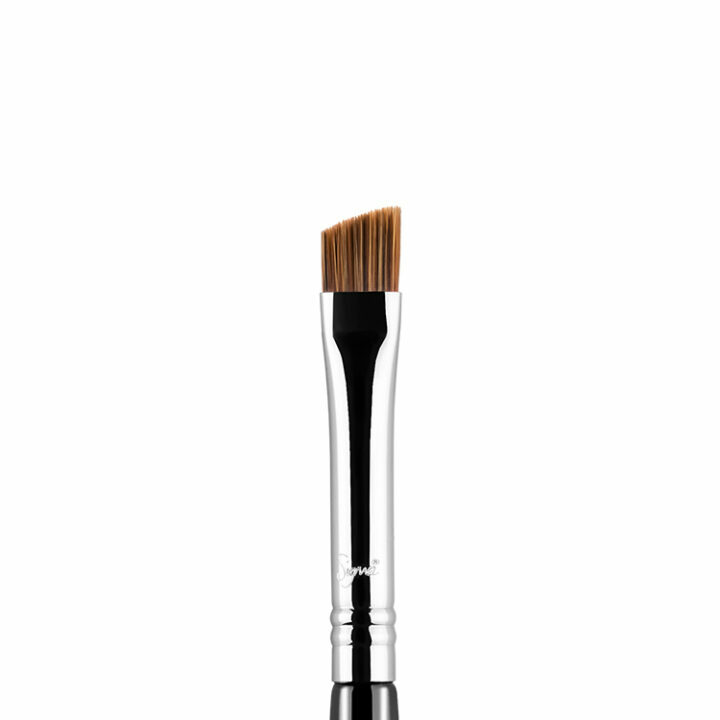 Use this brush with brow powder to fill in the brows using a sketching motion for a natural effect. 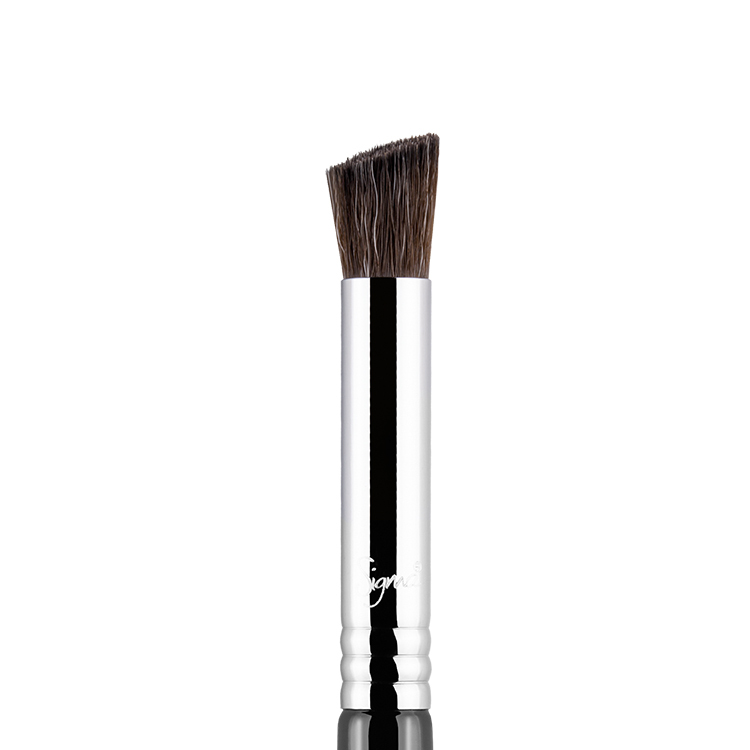 Recommended Use: Apply powder and gel products to brows using a sketching motion to achieve a hair-like effect. This brush works great for defining my brows. I already had the “E65 – Small Angle”, and found it slightly too small and precise for brows, but this one works wonderfully! One of THE best brushes out there. I use it to carve out my eyebrows with dip brow pomade and it never fails to give me super sharp lines. Its perfect. Great length, long lasting bristles, no complaints here. I use this brush on my brows everyday. 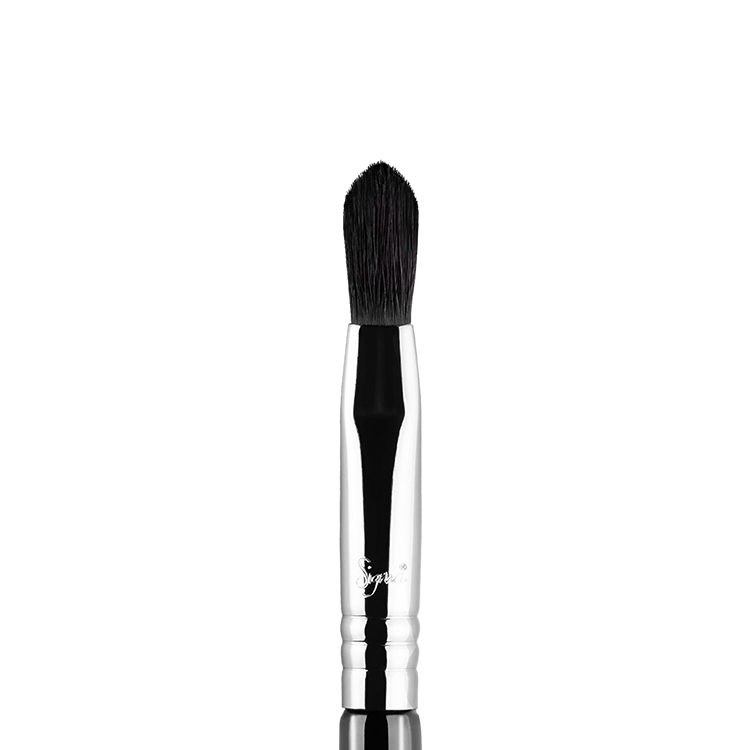 The best brow brush I have ever owned and the handle is great length. 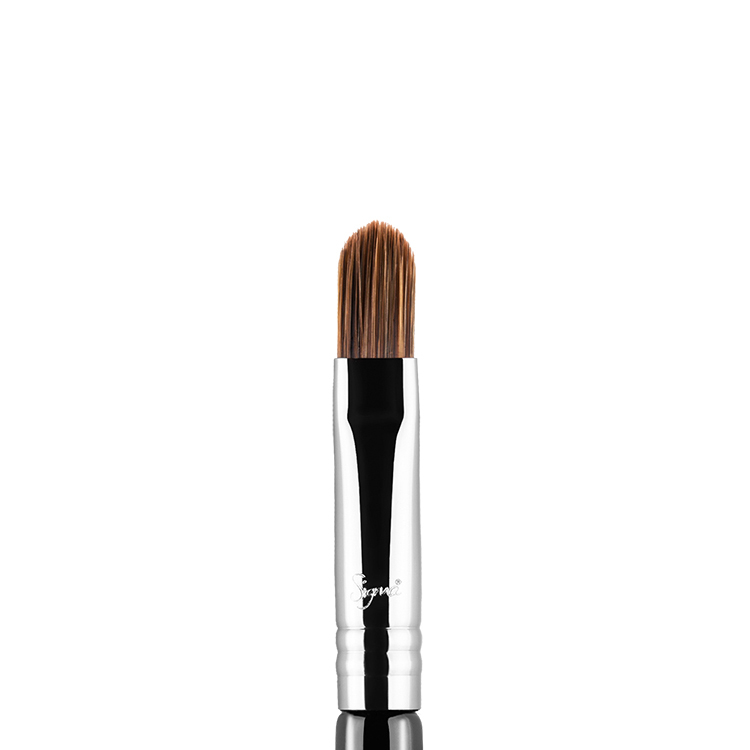 The perfect brow brush! 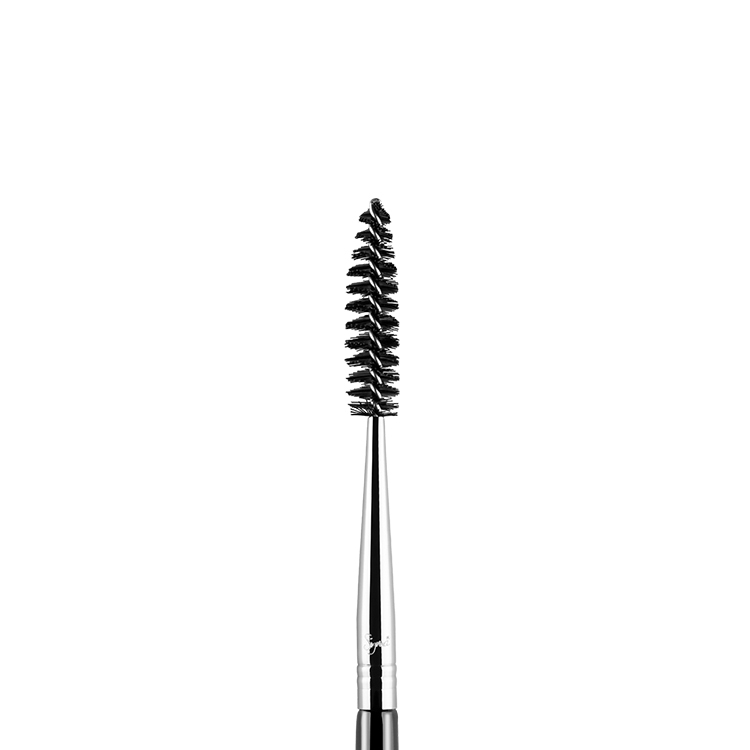 It’s soft but still firm enough to apply a decent amount of colour to the brow. It’s perfect for applying fine, detailed strokes to create a beautifully natural brow shape. I’ve had no problems with shedding or cleaning. 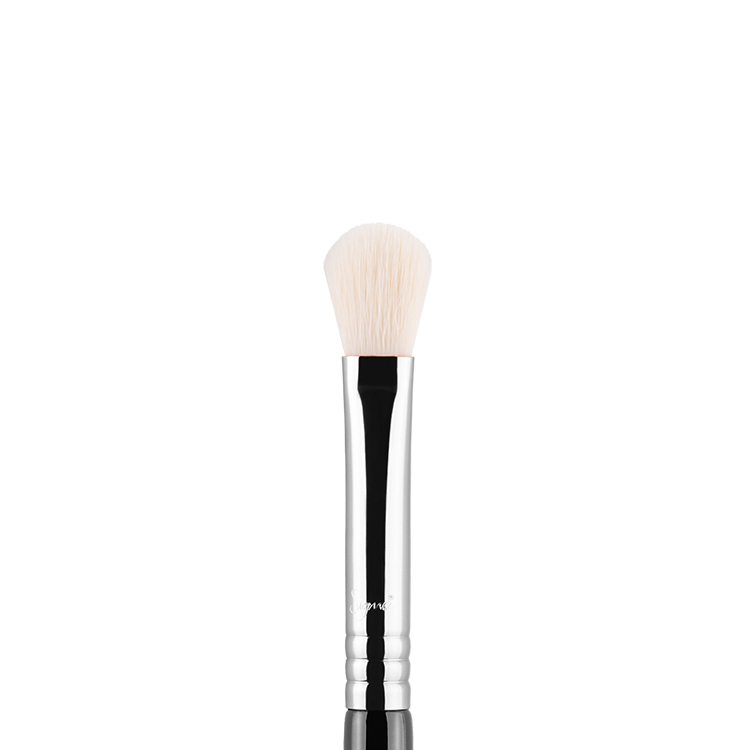 I always had trouble perfecting my brows but the Angled Brow E75 brush allows a perfect shape every time! 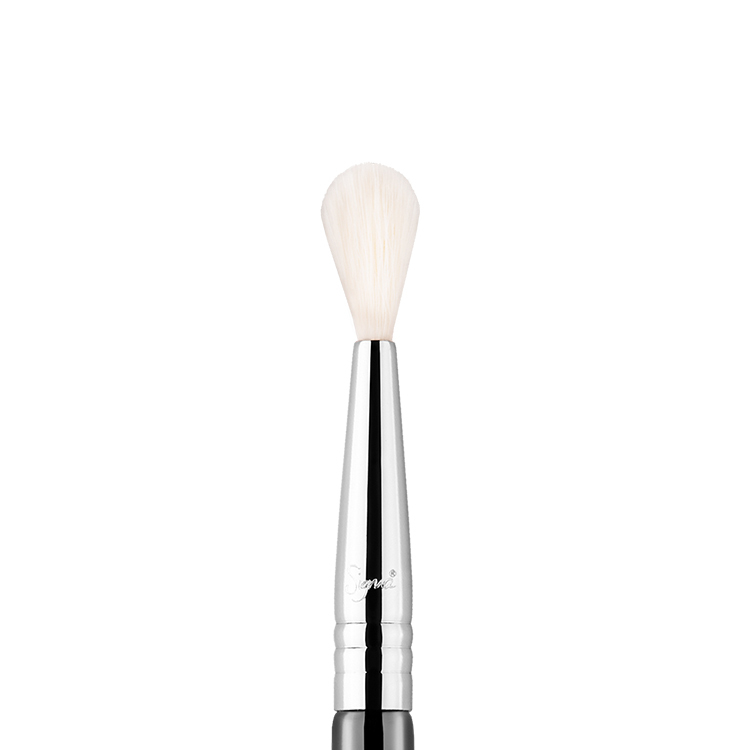 This is a great brow brush! It’s firm enough to pick up colour and deposit it evenly, but doesn’t feel scratchy on the skin. 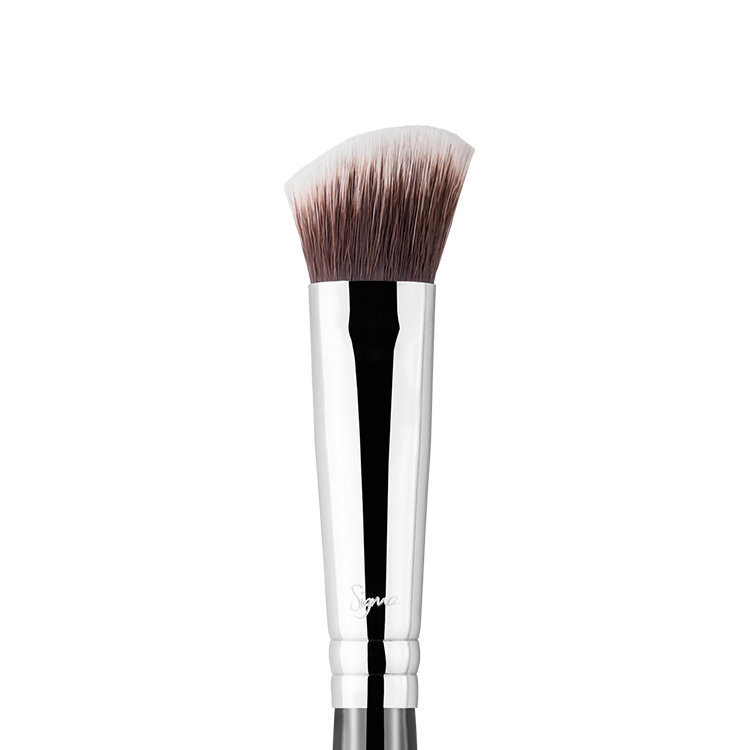 I find it’s sturdy enough to even comb the brow hairs as you apply colour! I took off one star because the brush’s handle is a bit short, but it’s not much of a problem 🙂 Very good brow brush!